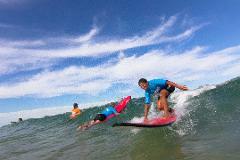 Regular lessons run at both Blacksmiths Beach and Nobbys Beach. 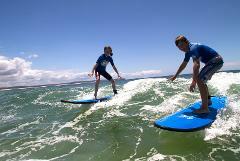 The four lesson package is ideal for the customer who is wanting to get their surfing moving, you can have your lessons on whatever days suit you 4 days in a row, once a week or once a month. This is a great way to get the kids to have fun in the water while you get the party organised. There must be 6 or more kids for the party lesson. 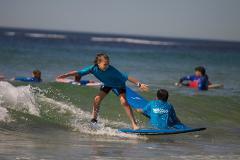 Learn to surf at Blacksmiths Beach. This beach is well protected from the predominant south swells. great place to get away from the crowds.